Outside, it’s winter again—snow and more snow. 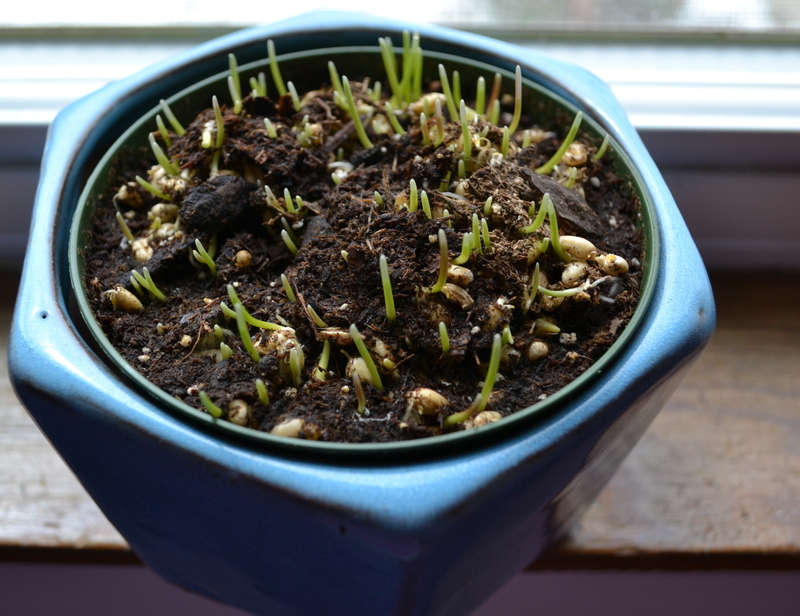 I’m growing cat grass in a tiny pot. The sprouts looks like an alien life form—it’s pretty amazing just how quickly these seeds germinate and take root. Three days in and they look ready to conquer the world. 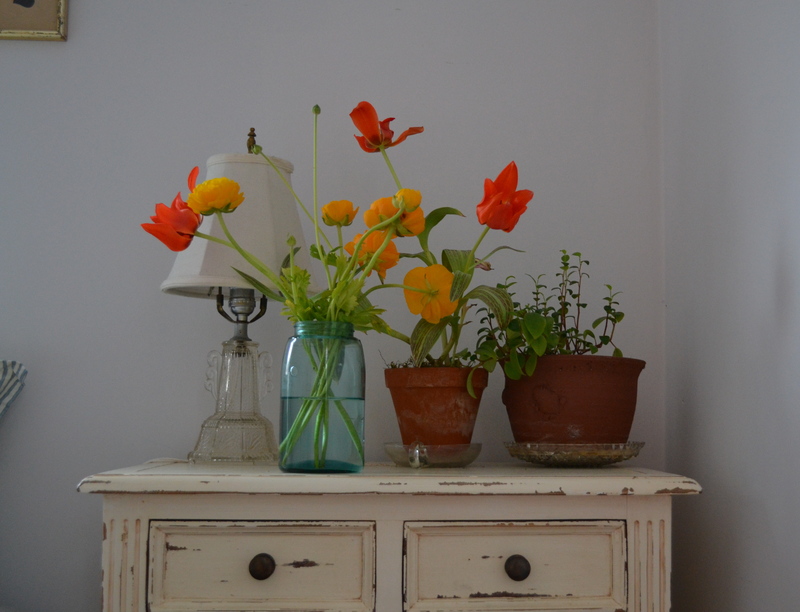 My bedside table is a jumble of leggy blooms. I was going to crop this picture more, but for some reason I liked the little slivers of pillowcase and gold frame that you can see along the edges. At least it looks like spring inside. Maybe the out-of-doors will follow suit soon.